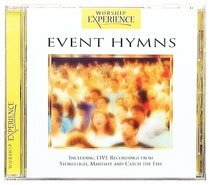 This moving CD features some of the Church's best-loved hymns, sung by thousands of worshippers at various conferences all over Europe. Worship leaders include Robin Mark and Matt Redman. About "Event Hymns (Worship Experience Series)"